With more than 7,000 votes received from travellers worldwide, the top 10 included cityscapes, mountain runways and coastal descents that PrivateFly says justify asking for a window seat so as to enjoy an uninterrupted view on landing. PrivateFly CEO Adam Twidell, an experienced pilot, said: “Some airports offer an aerial view that becomes reason enough to visit in itself – never mind what attractions await on the ground. 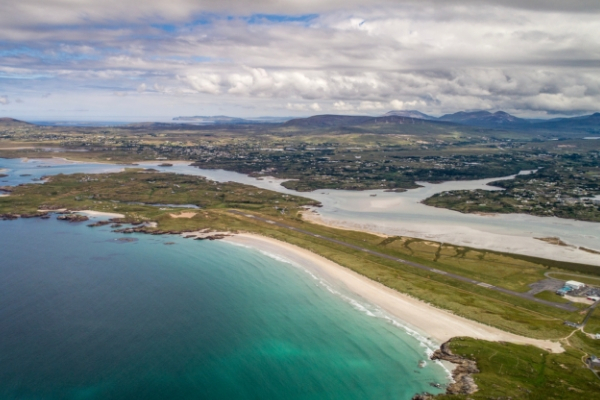 The 2019 top 10 is Donegal (Ireland), Barra (Scotland), Nice (France), Orlando Melbourne (US), St Maarten (French/Dutch Caribbean), Saba (Dutch Caribbean), Queenstown (New Zealand), Toronto Billy Bishop (Canada), London City (England) and Aosta (Italy).